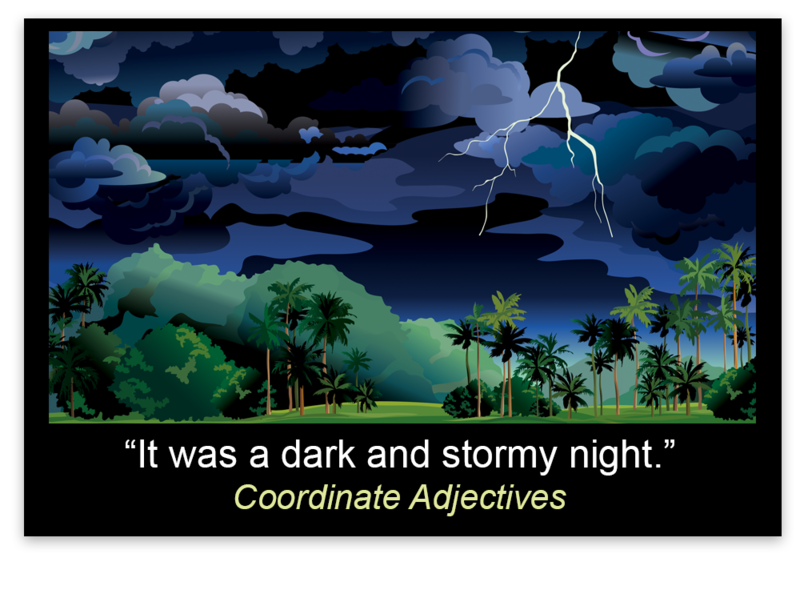 Test your mastery of coordinate adjectives with this 5-question quiz. His friend was a tall, thin man. The orchestra played a beautiful haunting song. We are going to the midnight show at the old drive-in movie theater. We watched cute baby birds learn to fly. When the warped unstable shelves fell, we knew we had to replace them.